This weekend, students at Kent State University will be dancing, moving and grooving for a cause during the 3rd annual Flash-A-Thon. Organized by students, the dance marathon raises money throughout the year for Akron Children’s Showers Family Center for Childhood Cancer and Blood Disorders. It concludes with a 12-40 hour event where participants stand, dance and stay active to celebrate their fundraising success. Kent State has been hosting the Flash-A-Thon since 2013, and to date, the dance marathon has raised more than $44,000. Students don’t need a superhuman stamina to participate. They don’t dance the entire event, although they are standing for kids who can’t. This year’s Flash-A-thon will include themed dance hours such as animals, through the decades, karaoke, and a country hour where the Dusty Armadillo will be teaching line dances. Those who need a break from the dancing can participate in “minute-to-win-it” games and corn hole and dodgeball tournaments. In addition to Kent State’s Flash-A-Thon, Walsh University and The University of Akron also host dance marathons for Akron Children’s. 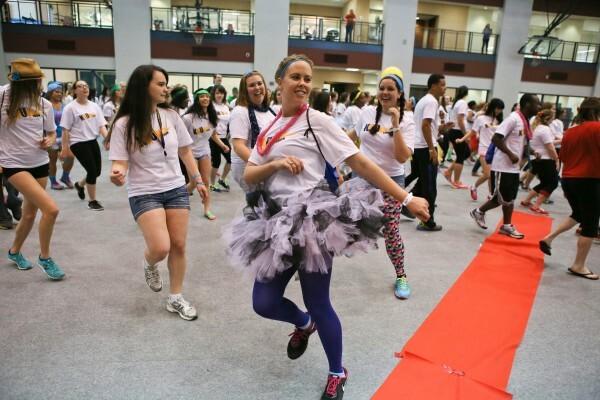 “Dance marathons have the power to be our next $1 million program for Children’s Miracle Network Hospitals,” said Nicci Avalon, Children’s Miracle Network Hospitals program manager at the hospital. You can donate online to support the KSU Flash-a-Thon.